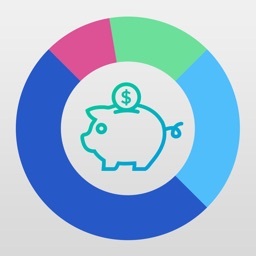 Expense Account by Digital Mind Co., Ltd.
"Calculate your consumption and make you to be millionaire - Best10Apps.com"
This application help you to manages your monthly expenses and records all of your expenses and provides a total amount for each log. 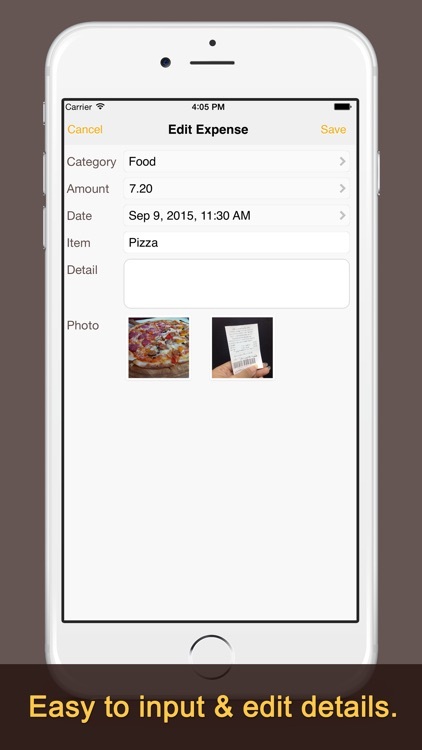 Quick add transactions and save it other information can be entered later. - Favorite mode: Just one click and you are done. 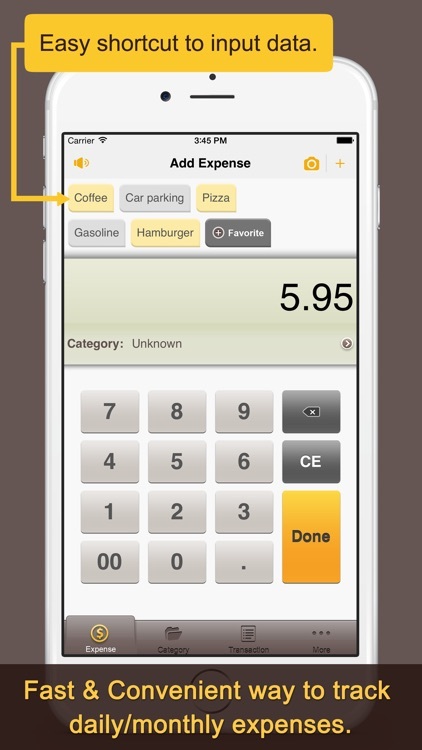 - Simple mode: Simply enter the expense amount and choose a category. - Detail mode: Including Date, Time, Detail, and 2 Photos. 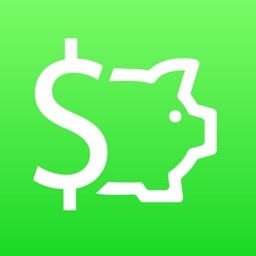 -You also create your own personalized expense favorite. 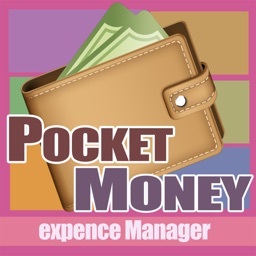 -You also create your own personalized expense categories. -Uses the currency symbol and format selected in the region settings. 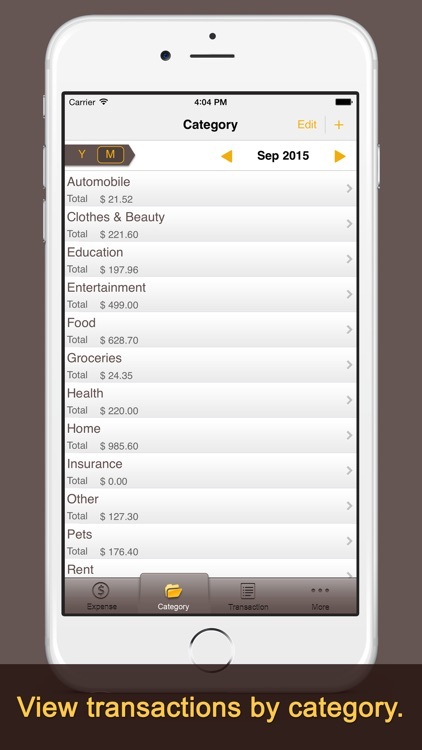 -You can check your spending and report all of you transactions as date, month and category. 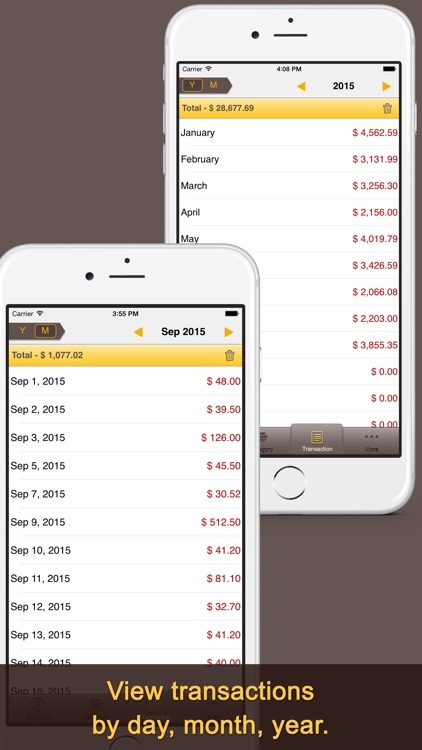 - Export App data Via Email as HTML and CSV Format. - Backup and Restore by using iTunes file sharing. 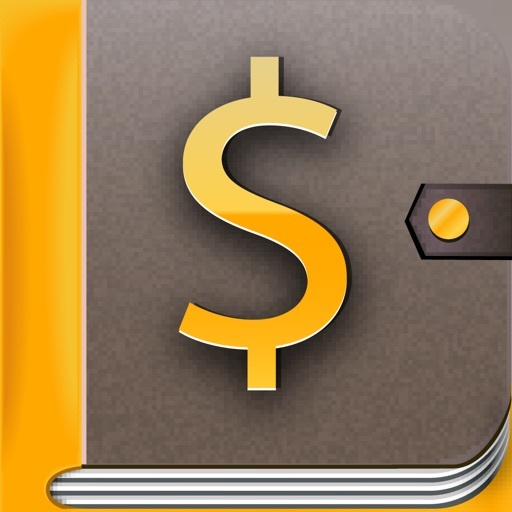 - Fast, convenient way to track daily/monthly expenses. - One of my fab five I use this app every day would not leave home without it. 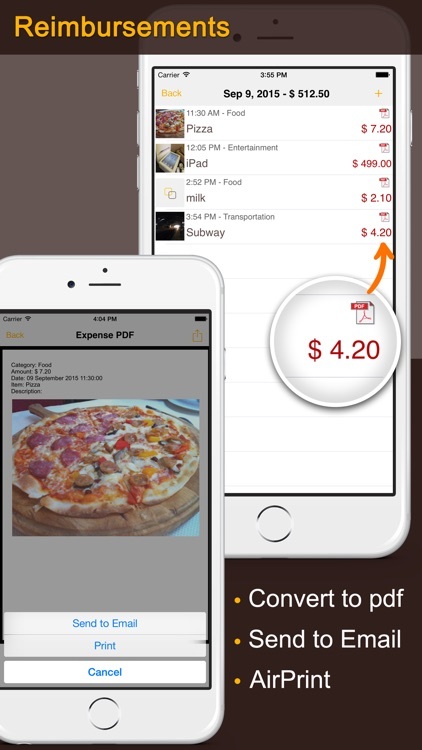 - Great fast way to keep track. 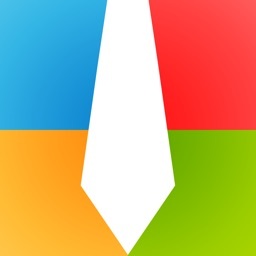 - Fantastic app. 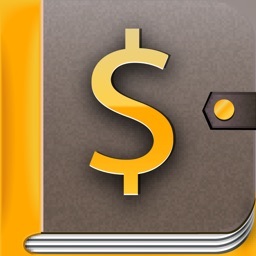 We are traveling around Australia and this app makes tracking our expenses and keeping to our budget very easy.